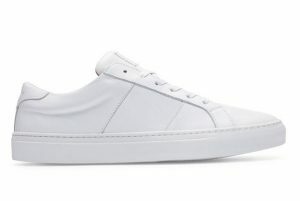 A luxe, high-end sneaker fit for the king of any castle, every shoe is handmade in Italy by the world’s most renowned craftsmen only using premium Italian materials like full grain leather (the only type that truly gets better with age). The inside is lined with a rich vegetable tan vachetta calf leather, most often used for luxury bags, making socks optional. It’s finished off with waxed cotton laces that will develop a unique patina of their own. 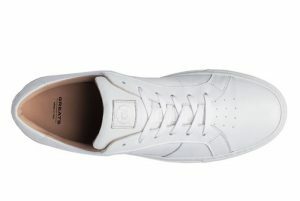 I bought these after not being able to bring myself to buy Common Projects. The $400 price tag of CPs were out of my limit for sneakers. 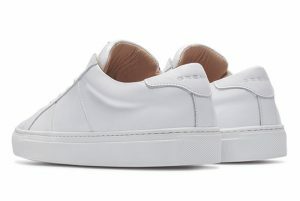 After some time I found a post on Reddit about Common Project alternatives and these were one of the number of brands that offered a hand-made shoe that looked similar to the Achilles low top. 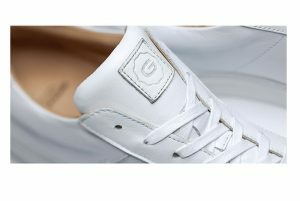 The price seems to sit around $159 for a pair and are offered in a few different and unique colors and material. I would recommend these to anyone. They are comfortable and have lasted me well over two years now without issue. I’ll get to posting pictures of my worn shoes soon. They have traveled with me everywhere I have gone, and they work well with almost any outfit. 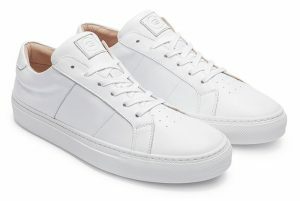 White shoes like these are a classic look that will never go out of style. Next articleAxes Wallets – Who doesn’t want a green wallet?